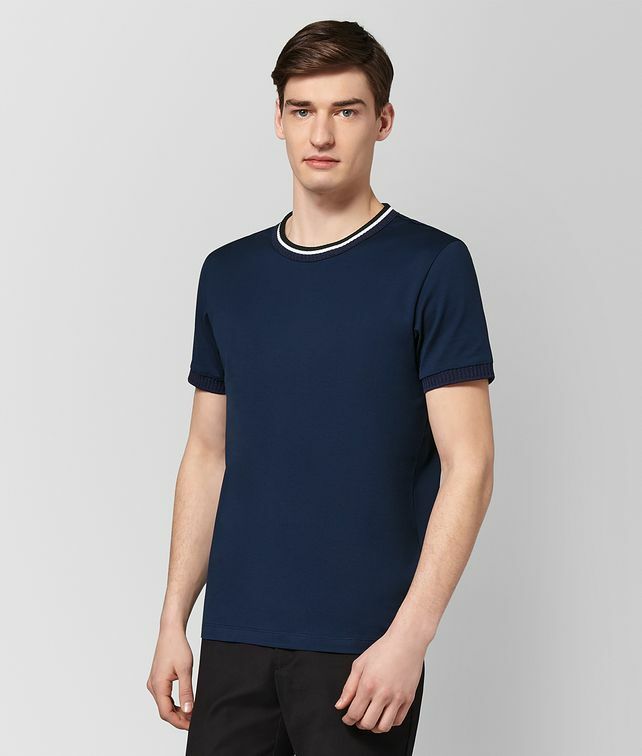 A refined take on daywear, this easy T-shirt is crafted from soft jersey. It features a ribbed knit at the crewneck and cuffs. Finished with a collegiate-inspired stripe at the neckline.